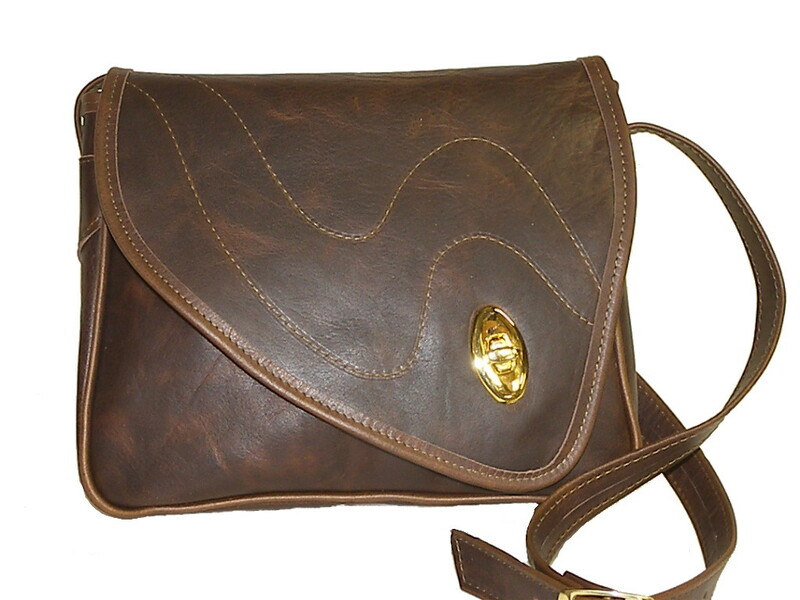 Leather Handbags Made in USA Size: H 10" x W 11" x D 4"
This unusual flap design has been in our line for many years, a true classic. The flap is stitched with a contour design. Inside is a full length back wall zipper pocket with an attached key pocket. There is also a separate front zipper wall pocket. Outside you will find a full length back pocket, fully adjustable shoulder strap and all brass hardware.